Am always looking forward to the weekends because that’s the time that my son and I bond over breakfast, 9 out of 10 times it’s either pancakes or waffles with bacon – of course. My son LOVES pancakes. 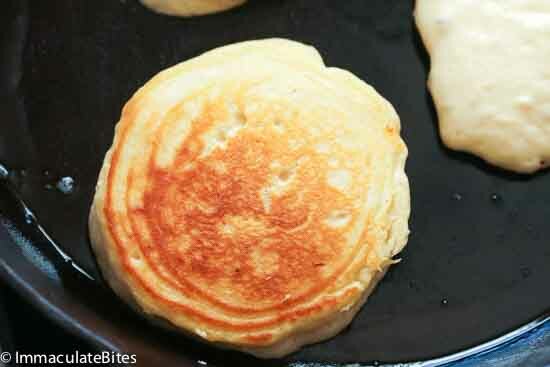 These fluffy pancakes are out of this world, and a new favorite for him! So tender and flavorful. And the best part? 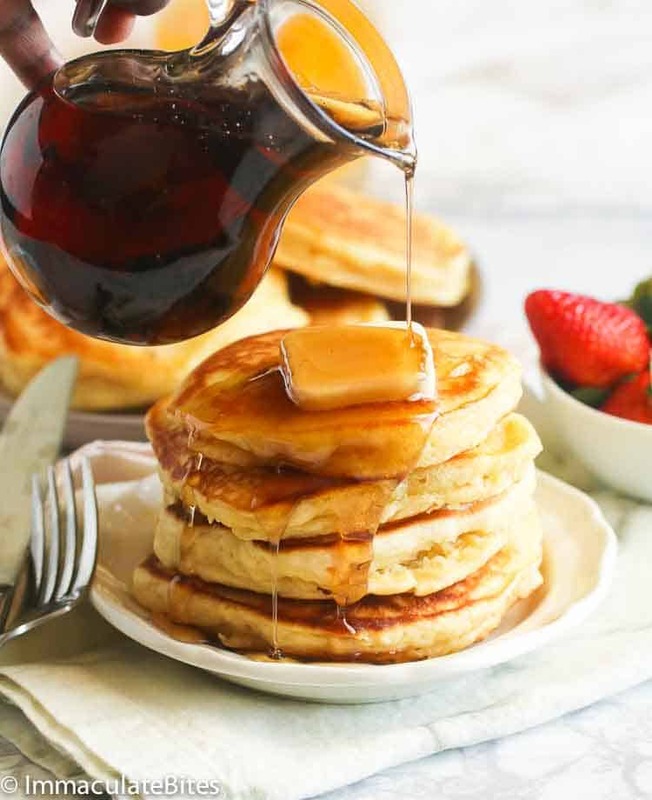 Syrup is optional, he doesn’t ask for it – Win! You don’t need tons of syrup coating to fully enjoy it as it is as much as pleasurable on its own. 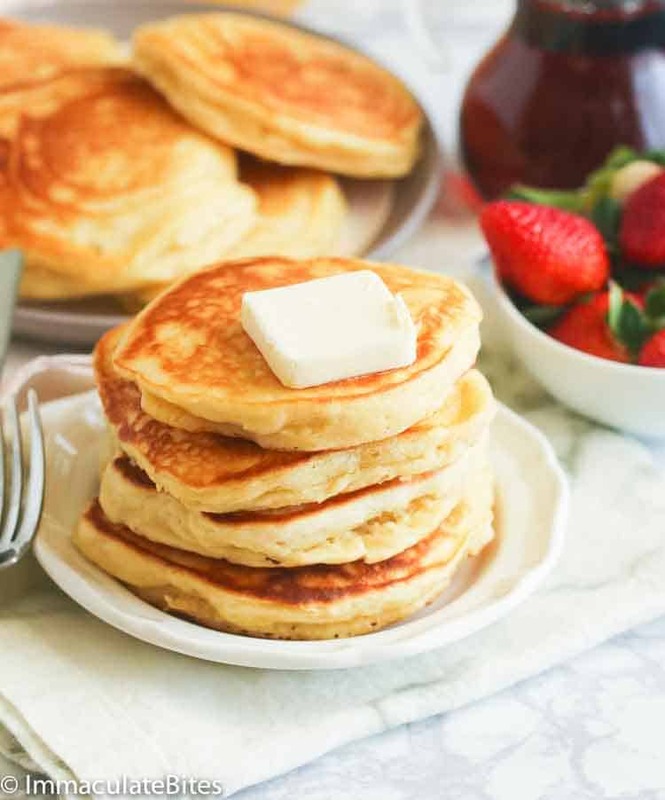 If you’re really into fluffy pancakes, then it is a must to follow a good recipe that delivers as promised. But before that, we need to get into the nitty and gritty part behind a fluffy pancake. Ready? 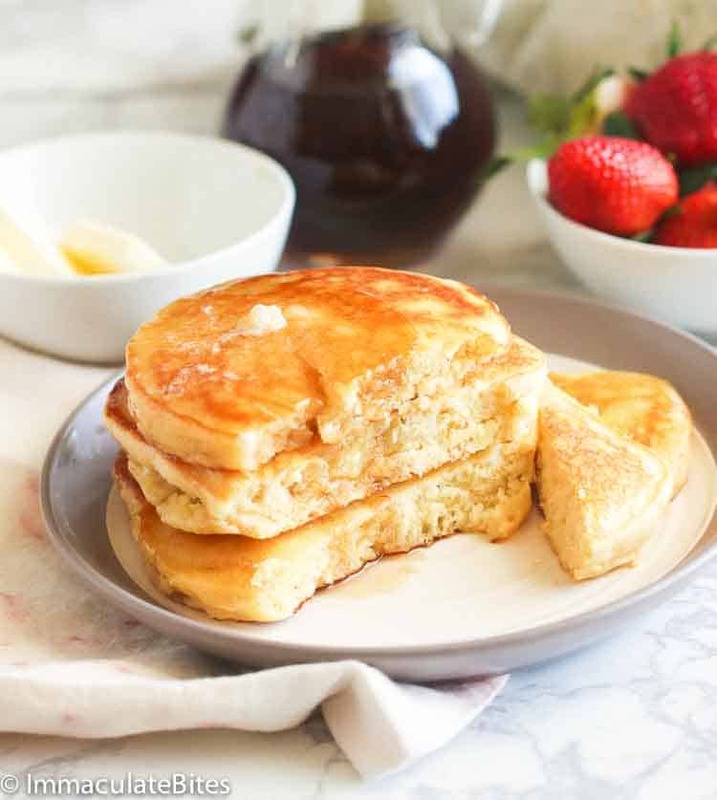 This homemade pancake mix has baking powder which is a leavening agent responsible for forming those pocket of bubbles when cooking pancake. Combined with baking soda, this immediately begin to produce gas as soon as you mix the batter. That’s why it’s a rule of thumb to cook it right away to achieve a tall and fluffy pancake. Second secret of this recipe is the presence of whipped egg whites. Yep, just like sponge cake cakes. The protein in those egg whites forms into a few bubbles as soon as you beat them. 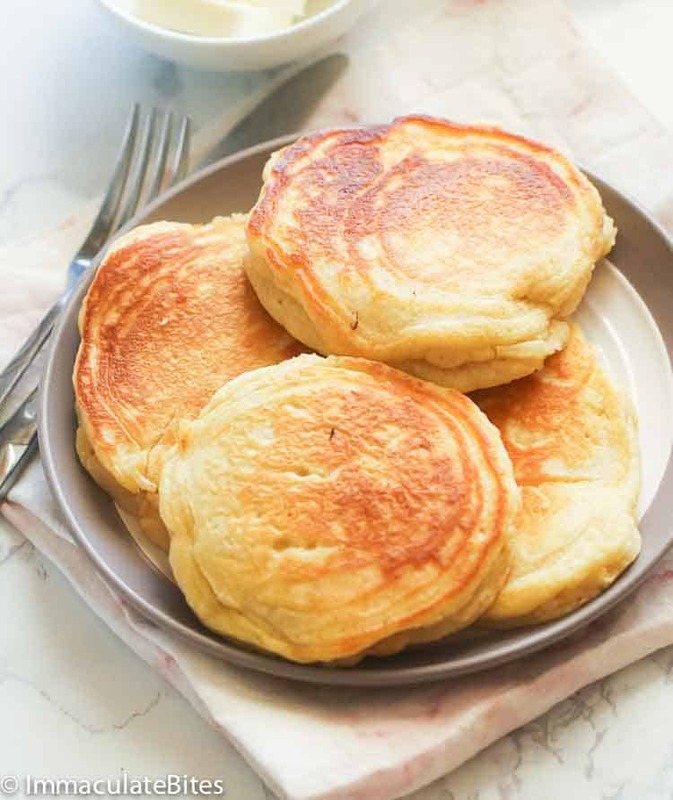 When you fold it into the batter, it adds extra air and as it expands during cooking, it makes the pancakes lighter. And lastly, the buttermilk. It’s a no brainer how buttermilk makes any cakes moist. So instead of the regular milk, I’m adding instead a 1 and 3/4 cup of buttermilk for that bit of tang flavor, rich and moist interior. This ensures that the pancake is tender while the egg yolk helps set the pancakes as they cook. Butter, maple or chocolate syrup, cream, fruits, powdered sugar – top it the way you want it. Or better yet, enjoy these on its own! You’ll need a stack of this before you can even think of stopping. Now stack those pancakes up high! Enjoy! To replace regular flour and baking powder, use 2 cups + 1 tablespoon self-rising flour. You can always pre-mix all the dry ingredients and put it in jar or large container for convenience. 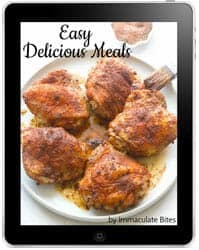 Then add the rest of the ingredients when you’re reading to make a batch. No milk? No worries. Acceptable substitute is milk and lemon juice or vinegar. Combine 1 cup milk with 1 tablespoon lemon juice, let it sit for about 10 minutes. And you are all set . 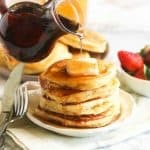 Fluffy Pancakes – soft, light and fluffy pancakes made from scratch with a beautiful golden brown color and taller rise. A melt-in-your-mouth breakfast experience! In a Large bowl combine flour, salt, sugar, baking soda and nutmeg (if using any), whisk to fully combine. In another medium bowl combine egg yolks, milk, melted butter and vanilla. Thoroughly mix. Whisk egg whites until fluffy about 3-5 minutes. Then add to pancake, mix as little as possible until fully combine. You will have a thick batter. Do not over mix. In a Large bowl combine flour, salt, sugar , baking soda and nutmeg(if using any), whisk to fully combine. In another medium bowl combine egg yolks, milk , melted butter and vanilla. Thoroughly mix. Whisk egg whites until fluffy about 3-5 minutes . Quickly add to pancake , mix as little as possible until fully combine. You will have a thick batter. Do not over mix. Flip and cook the other side for another minute or two until golden brown. Repeat until pancake mixture is finished. Remove and serve immediately with syrup and/or butter. I made these with frozen wild blueberries and they were great! Really nice and fluffy. That sounds like a great addition, Natasha! Glad you like it. And thank you for stopping by! hello Imma, am sorry I missed your mails all this while. Honestly, am going to try this one. I have been making that Nigerian style. Am gonna try it this weekend. Can’t wait for you to try it, Juliet! Hi Lucy, yes it is. Already, I’m imagining how good they’ll taste. Will sure try them out this Sunday. Love pancakes! 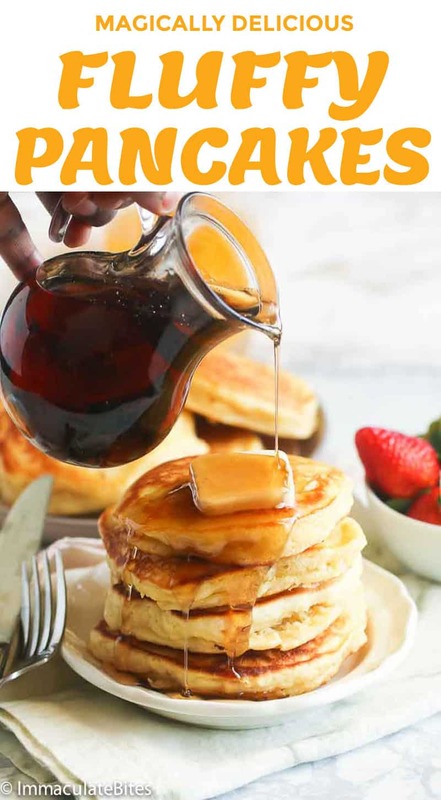 Imma,thx for the pancake recipe.Ive been doing them without the soda and nut meg.I will try this recipe out to make better pancakes. Imma I am on a sugar ‘fast’ can’t wait to finish it so I can try this pancakes. I love fluffy pancakes. Cletus, can wait for you to be off. You are going to dig this!!! Hi Imma!!! 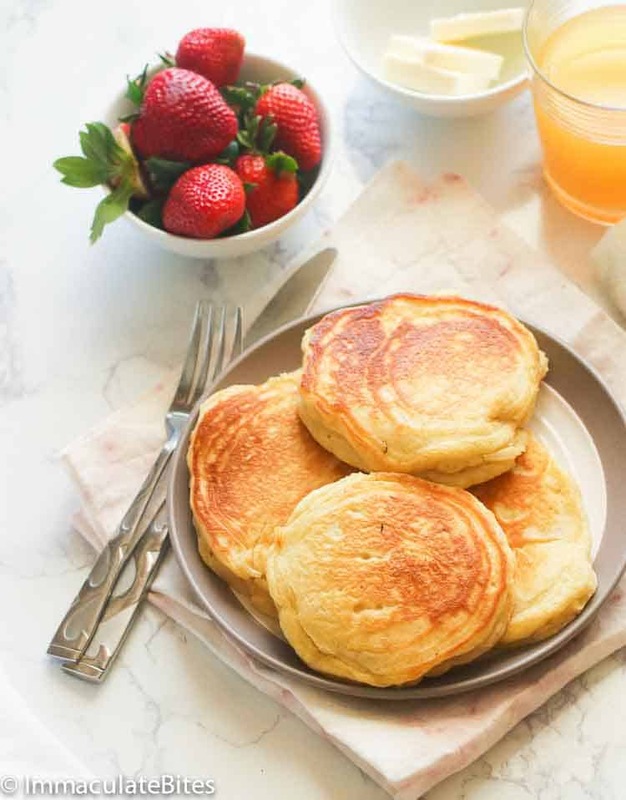 I only make pancakes from scratch, but these look fabulous!!! I have never added baking soda, just the powder. I’m definitely going to try your recipe for my next family pancake breakfast. Thanks!!! Hi Lisa! So happy you would . Do let me know how it works out. Have a great Weekend!